Want a makeup artist who knows his stuff? Then you'd better turn to Christopher Drummond. With over 15 years of experience in the beauty industry and his own makeup line, he knows beauty inside and out. Find out what makes him tick after the jump. I was raised in Flint, Michigan. 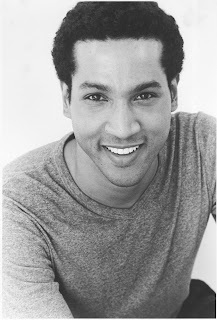 I am bi-racial (black and Italian), and was raised by a white family (I was adopted at the age of eight weeks). We had seven people in total in our family -- a lot like Diff'rent Strokes meets The Brady Bunch. I went to the University of Michigan, got a BA in Mass Communications. From there, I worked in TV/news production for three years, which was soooo stressful. All the while I was acting and modeling on the side. My dream was to act full-time. I moved to Miami and lived there for nine years, where I cultivated my makeup skills. I then got a job opportunity to relocate to NYC, and I took it! I started in this business as a total fluke. I was a fashion model, and I hated how makeup artists always used the wrong colors on my skin. I went to the Bobbi Brown counter to buy some makeup. I hit it off with the manager, and she said, “I can tell you’d be a great makeup artist!” She offered me a job on the spot (I wasn’t even looking for a job at the time). My passion for makeup and skincare blossomed from there. Have you worked with any makeup artists who inspired you? What did they teach you? I worked quite a bit with Scott Barnes (Jennifer Lopez’s personal makeup artist). He created the “JLO Glow." I learned a thing or two from him! He’s an expert at giving a “lit from within” type of glow. I took some things he taught me and incorporated my own style to create my trademark look. Overall, I think all makeup artists borrow from each other. There is no one artist that owns the business ... we are all constantly learning and creating from each other. Honestly, I don’t have just one. 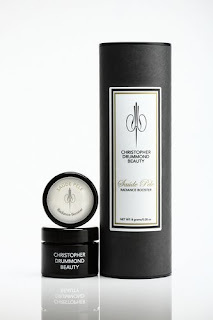 But I would say this January was a biggie, when we were able to officially launch Christopher Drummond Beauty. Three years of blood, sweat and tears (literally) had come to fruition. Since then, it has been a different hill to climb. Creating the philosophy of the brand and the products/packaging was one thing. Now we are on to promoting the lifestyle that comes with the brand. Definitely a challenge, because we are doing something new and different, and not everybody gets it. Saúde Pele Radiance Booster is amazing to me. I asked myself, “What is a product that anyone and everyone can wear, that will make the skin look healthy and luminous?” Saúde Pele was my answer. Men, women, old, young, black, white: this product was made for everyone. I love it. 1) Be yourself. Find out what you like, and what makes you feel good, and go with it. Don’t rely on someone else to tell you what “your colors” are. Only you know what you feel best in. 2) Less is more. Don’t overdo it. Too much glitter and glam can make a woman look like the mother of a Solid Gold dancer. Have fun with makeup, but know the limits of your face. 3) The basics never let you down. It’s fine to play with color, but there is nothing like the basics to make you look and feel your best. Of course “the basics” is a relative term for everyone. However, once you find what your basics are, hold on to them -- they always work!!!! I wish I could say the pat answer “I love to help people." This is absolutely true. But more importantly to me, is doing what makes me feel good about myself. I have no problem saying that I look to things that make me feel good. After all, if I feel good, then I can help others to feel the same. I like to take a selfish ideal and make it helpful for everyone. Being a makeup artist must be fun -- but what do you do for fun when you're not playing with makeup? I hate it when people say this, but I literally don’t have time for fun. Now is the time for me to totally concentrate on building this company -- nurturing it. It takes so much time and energy. If we do it right, there will be a big payoff. Until then, I will enjoy the little things: going to the gym, an occasional night out to dinner. I am just too obsessed with making my business work to have fun right now. To me, this IS fun and rewarding!!!!! I’m doing what I love, so even work is a joy.